AirQWeb is Turnkey’s specially-designed online interface, which was designed for use with our internet-connected environmental monitoring equipment. It works with airborne particle monitors (Topas, Osiris and DustMate), gas monitors (iGAS), and noise & vibration monitors (iDB and iVIBEseismic). The online application will connect to these devices via our Web Server and automatically download data in real time. See the AirQWeb site here. To use AirQWeb, you will need to register for an account. Once registered, AirQWeb offers users an online platform for viewing results anywhere on any mobile device. It can be used for analysis of the data as well as creating graphs and reports. All data is stored securely and can be searched and viewed online. 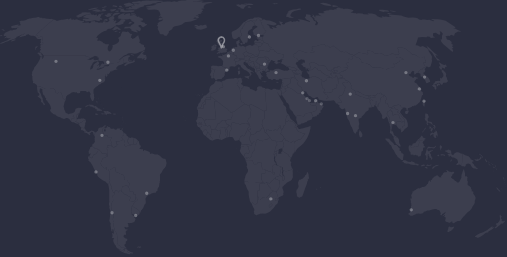 Data can also be viewed on a map by location, so it is possible to check the data from a monitor anywhere in the world from the comfort of your desk or living room. Results are collected from the monitors on the relevant quantities being measured (in units as specified by the instrument, e.g. 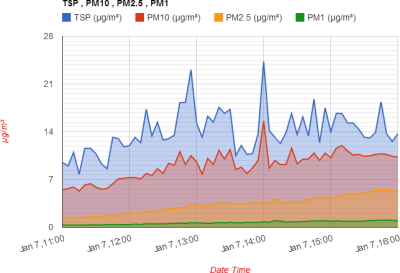 TSP, PM10, PM2.5 and PM1 for dust). Reports and graphs can be created quickly, and can easily be exported to Excel or other formats for further analysis or sharing. With AirQWeb, you will have maximum flexibility. Monitoring instruments can be controlled remotely so it is possible to start and stop sampling, change settings and set alerts for your internet-connected devices from anywhere with an internet connection. To use AirQWeb, you will need one of our air pollution or noise & vibration monitors, running with a Turnkey Web Server.